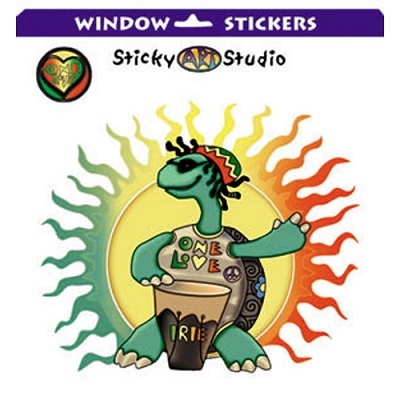 This clear backed One Love sticker, features a rasta turtle jamming on a djembe drum with the sun in the background. It was designed by kathleen Kemmerling and measures approximately 4" x 4 1/2". Also has a small round one love "bonus" sticker (see top left of picture).